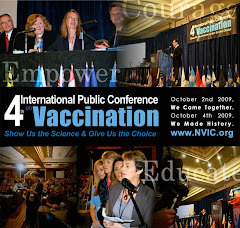 Slowly but surely a few investigative journalists looking into the dark corners of one-size-fits-all mass vaccination policies in the U.S. and Europe are coming to the same conclusion parents of vaccine injured children came to a long time ago: individual children are being killed and crippled on the alter of the "greater good" utilitarian pseudo-ethic embraced by public health officials. Public health officials around the world are compromising the biological integrity of our young by insisting on achieving "herd immunity" and refusing to acknowledge just how many casualties it takes to do that. The immoral utlitarian rationale created by British lawyer Jeremy Benthem in the 1800's was then and still is a convenient excuse for elitists in charge of making government policy to use the "greater good" club to dismiss a minority of individuals as expendable in service to the majority. Works just fine if you and your loved ones happen to be in the majority. Doesn't work so fine if you and your own are the one's being sacrificed. The Nuremberg Tribunal, which put the utilitarian rationale on trial along with doctors they charged with crimes against humanity after World War II, got it right in 1947: no human being - even if they have M.D. or Ph.D. written after their name - has the right to use another human being as a means to an end, no matter how good that end may appear to be. The Nuremberg Tribunal, which created the Nuremberg Code to serve as a guide for the practice of ethical medicine, made it quite clear that it is immoral for doctors to force other human beings to risk their lives in order to advance medicine, science or improve the human condition without their voluntary, informed consent. Were Anna's parents truly informed by public health officials about the risks of MMR vaccine before their daughter was vaccinated? Mass vaccination policies dictated by doctors employed by government may have saved many in the past who would have died or been crippled by infectious diseases. 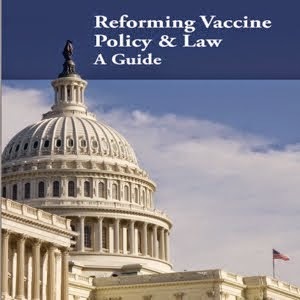 But it is becoming clearer that vaccines and one-size-fits-all vaccine policies have also destroyed the lives of many individuals and their families, who may or may not have contracted an infectious disease and may or may not have died or been injured from the disease. The time has come for government health officials around the world to remove the blinders from their eyes and tear down the stone walls they have built around their hearts and care as much about children, like Anna, who die or are crippled by vaccines, as they say they care about children who die or are crippled by infectious diseases.